“Cuffing season” refers to a time beginning in the late fall — usually around October or November — when two people tend to “cuff” each other, or settle into relatively monogamous, casual relationships for the winter months. Though Valentine’s Day (often seen as the “climax” of cuffing season, so to speak) has passed, the time is still ripe to cuff someone, and Musée’s team of Zodiac experts is here to guide you through heartbreak and self-care. You’re dying to cuff a hot piece while there are still occasional flurries, and another Tinder Chad off the street just isn’t going to cut it. Now is the time to turn yourself into a virtual “Yes Man” — say yes to late-night shopping binges, last-minute show tickets, and impromptu coffee meetings — surprises linger around every drafty corner, but you’ll never run into a warm body if all you do is flake. Work with the friends and acquaintances who are trying to wingman/woman you, but don’t compete with them. Aries are quick and impulsive decision-makers, but can often become so locked into their own complex minds that they are blind to the opportunities in front of them. It’s time to throw yourself into your work, and not just your nine-to-five: whether you do ceramics, or glass-blowing, or even make a little music on the side — go all in. The things you love doing are what make you beautiful, and it’s impossible not to fall in love with you when you’re cranking away on personal or professional projects. Plus, what’s sexier than a craftsperson working their craft? Your greatest skill is your dependability, and anyone who takes advantage of your timeliness and attention to detail definitely is not worth your energy. Focus on loving the work you do best and the results (or cuffs) will come. Calling all Geminis! Sure, you’re sweet, but let’s not pretend that being doe-eyed and soft-spoken is a type of cuffing. Gemini need to be especially careful to acknowledge the people around them with more than just a smile or a joke. Be more forward with your thoughts and feelings so your cuffs don’t have to work as hard to read your vibe. You don’t have to always settle for tragedy, you know, and getting rejected isn’t always personal. Use your experience deflecting setbacks to bounce back stronger than ever before. Pour one out for Cancers, or at least the ones who stay up all night agonizing over mistakes from the past. People value you for your sensitive nature but you shouldn’t get carried away editing yourself and erasing the parts you don’t like. Worry less about the things you say and try to woo your cuff through small, but meaningful, gestures. Your confidence is gorgeous and your personality is contagious, but don’t let your colorful disposition disguise what you feel inside. Leos don’t always have time for love, and that’s nothing to cry over, especially if you’re not looking for a cuff right now. If you are, however, roll up those sleeves: Cuff potential is headed your way. Virgos, give yourself a break. We all know you’re a superstar when it comes to deconstructing your exes’ texts and spoon-feeding friends through booty-call drama, but if you keep analyzing and over-analyzing every communication that comes your way, you’re just going to exhaust yourself. Plus, there’s no use cuffing if all you’re going to do is scare potential cuffs away with a meticulous (borderline-obsessive) breakdown of your crush’s habits, word choice, or behavior towards you. Take things slow, or as slow as you can handle right now. Libras, practice mindfulness. If you’re not cuffed yet, or if you aren’t too keen on the person you’ve cuffed, don’t retire the effort just yet. Just because someone treats you kindly and has few to no offensive personality traits doesn’t mean you are obligated to while away the rest of your precious freezing nights with them. And for the love of God, Libras, try and simplify your conversations with your loved ones — precision is key. Scorpios, more than anyone, are likely to use this time to dig in their heels and resist any and all attempts at intimacy. Whether you’ve been cuffed or you’re still looking to lock down a cuff, your body wants to riot and sabotage all the hard work you’ve put into this season. Resist the temptation. Trust your gut, and give your efforts time to blossom into the results you want. What’s better than a Sagittarius? Kind and generous, you give everything you have to the people and organizations you support. But it’s important to remember that there’s a world outside your own, and it’s okay to take time off sometimes. It may feel impossible that the ship can stay afloat without you on it, but give it a try — late-winter cuffs can be impatient, and they’re easy to miss if you’re caught up in a web of deadlines. Capricorns, busy-bees though they are, deserve love, too. 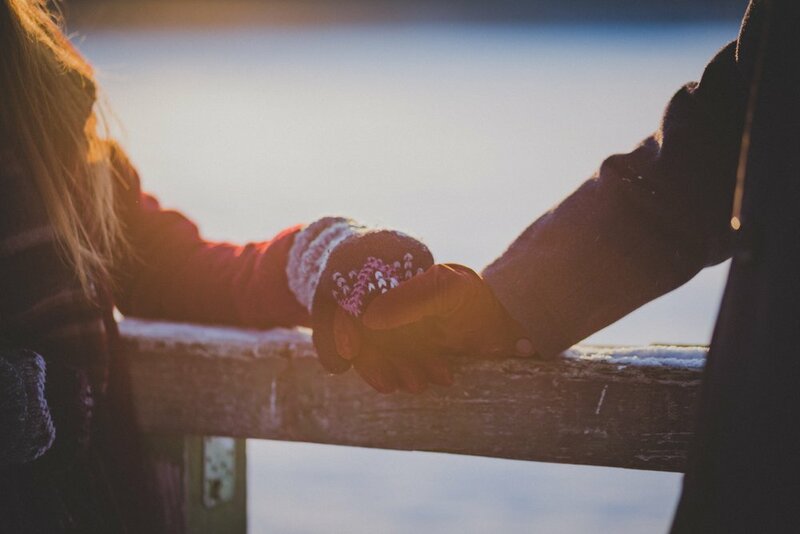 Winter might prove too tight a season to get in some proper cuffing, but Capricorns are blessed with an ability to maintain strong relationships, even ones that exist over a great distance. Keep in touch with your friends overseas or across town, and don’t let something as simple as a bus ride or a Skype call keep you from your One True Cuff. Every Aquarius I know needs to take a breather and stop micro-managing the cuffing partnership. No one cares about your Enneagram results and you can’t always be on top; furthermore, not everything can go exactly as you want it to go every time. Stop demanding excellence from your cuffs. Consider your relationship from a different perspective: It’s not that he/she is the wrong cuff for you, or that you’re ruined for cuffing — sometimes, you just need to meet your cuff halfway. Pisces are some of the most “friendzone”-prone people I know, but that doesn’t say anything about their compatibility for love — you can be the a snack in the streets but…a “really good friend” in the sheets. It’s not that you weren’t made for cuffing relationships or relationships at all, you just focus so much on supporting other people that you hardly root for yourself anymore. Learn to flaunt your best angles and shower your cuffs with compliments.